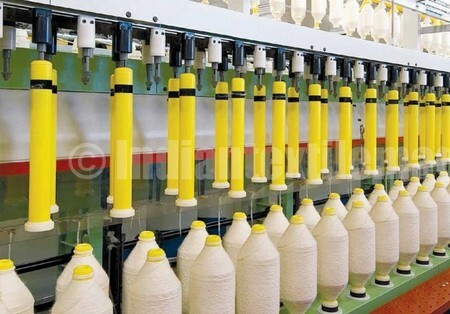 In yarn manufacturing process, roving frame or simplex is situated after the comber. The sliver which is produced from the comber that is thicker and it is not suitable to feed into the ring frame directly to produce yarn. Roving frame is used for reduce the weight of the drawn sliver by the drafting and low twisting is applied to the roving. Attenuation of drawn sliver to form roving of required count by drafting. Insert small amount of twist to give required strength to roving. Wind the twisted roving onto the bobbin. Build the roving in full length of bobbin in such a form which will facilitate handling, transfer and feeding to ring frame.